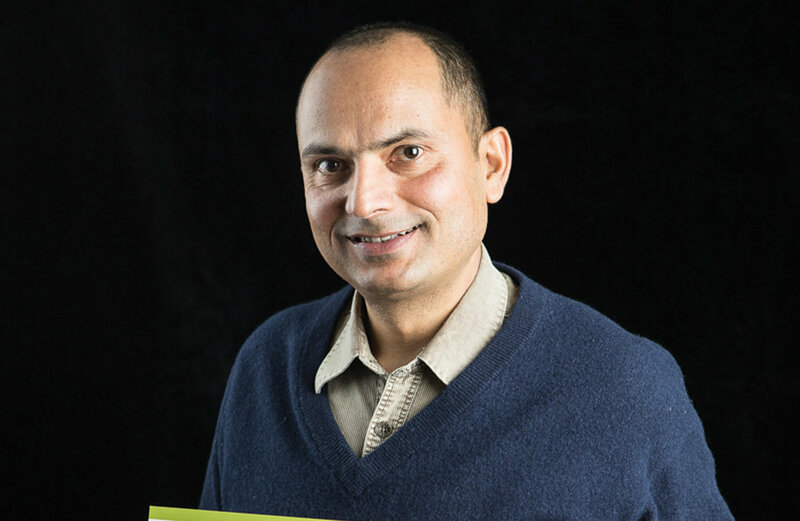 “When I came to Canada, if I had the information that I got through the Mentoring Partnership from the start, I would have gone even farther,” says Budhi Kharel. Originally from Pakistan, Ovais Aziz immigrated to Canada from the Middle East where he was working at a large financial institution. After arriving in Canada, he registered with acces Employment where he completed the Business Law module and signed up to be mentored through The Mentoring Partnership. Aziz secured his first job through the Career Edge Organization. During the initial months of his job he registered with the Rotman School of Management’s Business Edge program to learn more about Canadian workplace culture and to develop his leadership skills. Currently working as Senior Risk Analyst at Royal Bank of Canada, Aziz became a mentor himself. He explains why he felt motivated to give back by mentoring new immigrant professionals at the beginning of their journey. “I remember the time when I was struggling with similar challenges as a new immigrant to Canada. Like many new immigrants, I also did not have Canadian work experience or a Canadian education. I had few contacts in the local job market and was unsure about how to approach employers. The knowledge and experience I have gained from various organizations during my settlement process and the support I have received from my mentor were a tremendous help in establishing my career in Toronto. “I feel obligated to give back and help new immigrants get established and contribute to the community. I was already mentoring new immigrants and fresh graduates at a personal level because it gives me inner satisfaction. I became involved with triec because I liked their model of connecting foreign skilled immigrants with people working in the industry in Canada. I feel that triec gives my voice an established platform to get the message across at a broader level which also helps me develop my own leadership skills. “When people reach out to me through triec’s platform and outside for advice and guidance I make time to meet them. Mentoring new immigrants and fresh graduates from diverse backgrounds provides me varied perspectives and the opportunity to gain first-hand information of the challenges they face. Their input helps me tailor my advice based on each individual’s specific needs. “The most rewarding part of mentoring is when someone I mentored tells me that they have found a great job. Aziz tells newcomers to believe in themselves and not lose hope. More info on triec and The Mentoring Partnership at triec.ca. If you’d like to share the story of your arrival in Canada, please write to desinews@rogers.com or call 416-695-4357.